Following another sell-out event on Friday (19 April), Journalism.co.uk will be running its next digital journalism conference news:rewired on Friday 20 September 2013, at MSN UK’s offices in Victoria, London. The one-day event will again be focused on the latest innovations in digital journalism, and the key skills and techniques to help keep journalists working online ahead of the game. Over the coming weeks we will be working on building up the agenda. Keep an eye on the event website for more information soon. You can book tickets online – and sales have already begun – at a special early bird rate of just £95 (+VAT). There are only 50 early bird tickets available, which we will sell until Friday 31 May. After this date, or once all 50 tickets have been bought (whichever comes first), ticket prices will rise to £130 (+VAT). We are also again offering news:rewired PLUS tickets (which also include a day of intensive training the day before the event) for just £280 +VAT. More details on the three training course options will be announced very soon. Space on these training courses will be limited and running of them will be subject to demand. Again, once all 50 tickets have been sold, or by Friday 31 May, whichever comes first, conference-only news:rewired tickets will rise to £130 +VAT and ‘news:rewired PLUS’ tickets will rise to £310 +VAT. Tickets include lunch, refreshments and after-event drinks on the day. For more information about tickets and availability or the agenda email rachel[at]journalism.co.uk. For sponsorship/advertising queries contact jen[at]journalism.co.uk, sophie[at]journalism.co.uk or sophie.wallace@journalism.co.uk. 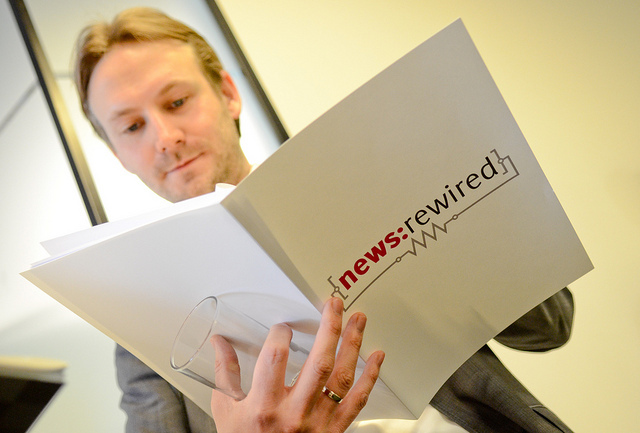 Save the date for the next news:rewired (6 December) – ticket sales already underway!